We are delighted to invite you to attend the 2018 International Widows’ Day Celebration on Saturday June 23, 2018 at the International Women Centre, Opp. Central Bank, Central Area, Abuja. This is a day set aside by the United Nation to celebrate widows all over the world. The Foundation’s 2018 theme this year is: YOU CAN! Today, there are over 245 million widows in the world. This figure unfortunately is on a steady increase due to: armed conflict; poverty and diseases etc. Yet societies often ignore widows and so they suffer in silence. Widows are the most vulnerable of all women. They are being neglected by their own relations and government institution. Most of them are in their prime of life, young women left alone to cater for their children’s shelter, food, clothing, schooling and their general wellbeing. 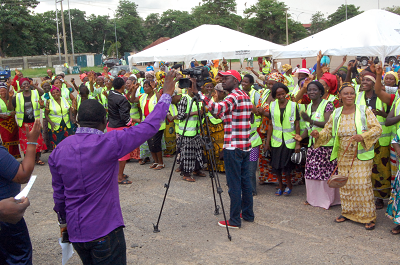 The Rock of Ages Empowerment Foundation founded about 12 years ago; is joining the rest of the world to celebrate the widows in a very special way through an organized event for her widows in 19 different zones within and outside Abuja. During the celebration in Abuja, over 70 widows and a woman prisoner who was set free through the Foundation’s intervention will be empowered with start-up grants to set up their businesses. 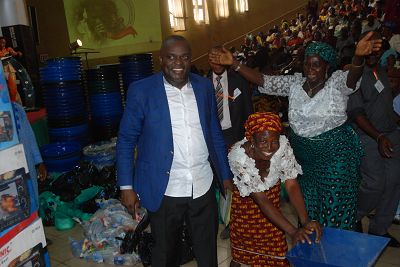 Also, about 27 elderly widows and members of this foundation will be gifted with grinding machine to help sustain them. Opening speech by the Chairman of the event; Dame Pauline Tallen, OFR, former Deputy Governor Plateau State. Special highlight and empowerment of the woman who was set free from the prison through the intervention of the Foundation. Match pass and cultural Dance by the widows. Success stories by the widows empowered in the past who are doing extremely well. Documentary on Activities of RAEF in the last 12 years. Appreciation of Partners, Friends, Donors. The Founder/CEO of RAEF, Evangelist IG Newman Ezeigbo is the Chief Host with Hon. Jummai Al-Hassan, the Minister of Women Affairs and Social Development as the Special Guest. A speech will be delivered by Comfort Lamptey, Country Representative of the United Nations Women, Nigeria. The media are invited to cover the day.